Yesterday's disappointment is still fresh in my mind. 1) We had a shocking campaign that included 2 away draws to Iraq and Thailand. 2) Our lapses in concentration, cheap turnovers and the desire to play an attacking possession-based brand of football at all costs with no flexibility in plans meant we could, and probably should, have lost those drawn matches or at least one of them. And we did lose when playing quality opposition that was capable of punishing us - ie Japan. When I say no flexibility, I refer to this crazy notion that one must always stick to one ideal, plan or philosophy. Postecoglou insists we must play the ball out from a back three even when this is too predictable and lumps pressure on our defenders; he also wants us to play pretty European football when we lack the personnel to execute such tactics, which often also means a lack of a direct approach option, and a reluctance to put more crosses into the box (despite the fact that we have a clear height advantage). I think we do have scope to play counter-attacking football. We need to mix up the tactics and, as many other have said before me, have a plan B. 3) Yesterday, Thailand were jipped and should have had a penalty. The referee seemed to be siding Australia, which was quite dodgy. The score probably should have been 2-2 on that basis. Missed chances on Australia's part don't count. We deserve to be on the play-off route. 4) Room for improvement. We have a stubborn manager and we need him to have a wakeup call. He doesn't seem to get the message and I don't think he will change. It doesn't seem like anyone has the guts to sack him. At the very least we should see this as an opportunity to battle-harden our team, even if our manager won't change. If we aren't good enough, fair enough. If we are good enough, we will qualify - and we'll learn the grit we need to win tough battles. We need to test ourselves at any rate. 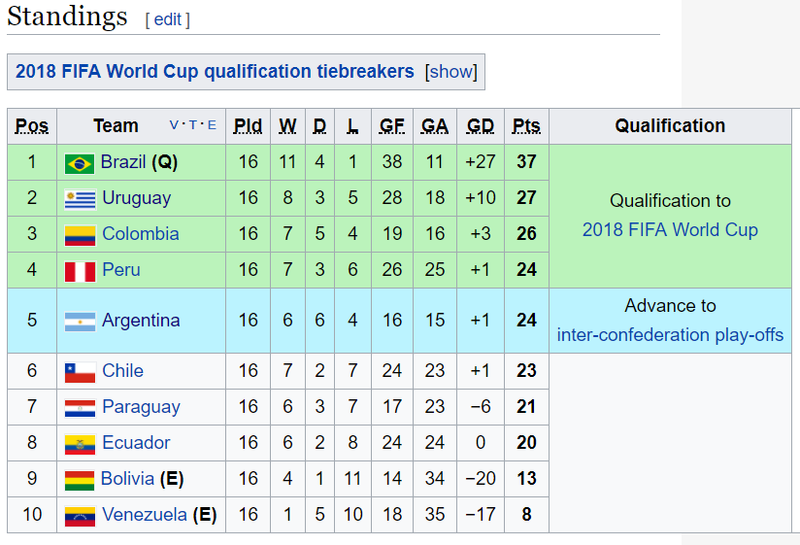 Going to a playoff doesn't necessarily mean we will fail at a World Cup - see Uruguay at the 2010 World Cup for example, although I accept that CONMEBOL is quite a different kettle of fish. Of course, the road is perilous, and there is a risk we won't make it but let's see where this takes us. 5) Saudi Arabia were able to beat a pressure-free Japan and conceded less goals in their campaign. Just think about the first proposition for a moment. We were lucky to draw with Japan at home, and that was courtesy of a penalty too. 6) Humility. This is related to 4. I think this is good because it should make us realise that we are actually not that good. At the end of the day, I suppose we should be thankful that we are still in it. So bring on Syria on 5 and 10 October I reckon! It won't be easy. Iran did not concede a goal during the whole campaign...until their last match in Tehran when they conceded twice to Syria. That's an indication of how solid Syria are. Nigeria can probably wrap up their qualifying campaign with a home win over Zambia in October. 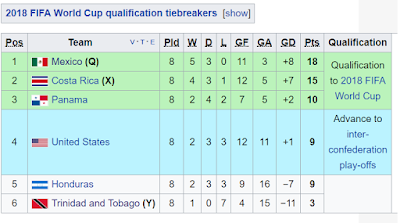 Africa's Group D looks very tight, and any of them are in it with a shot, not just Burkina Faso or Cape Verde. I'd like to see either of them go through. USA is struggling. 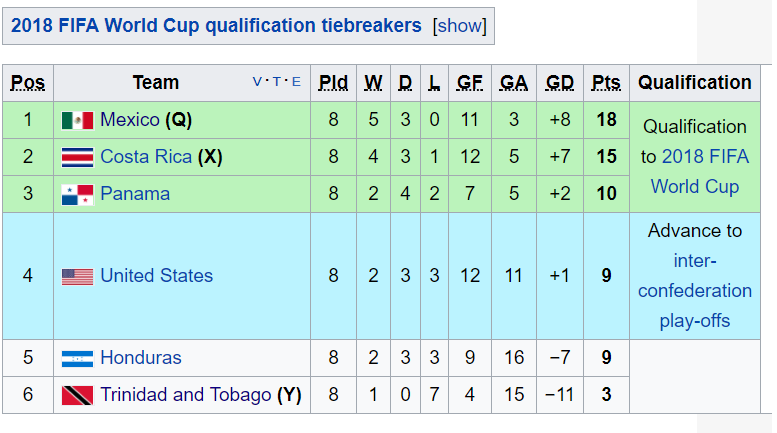 But they play Panama at home on 6 October next, so the table can change dramatically. And so is Argentina and Chile (who have to play Brazil away next). 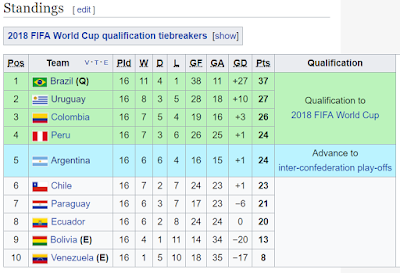 I hope Peru sneak through but they play Colombia and Argentina next - not easy.